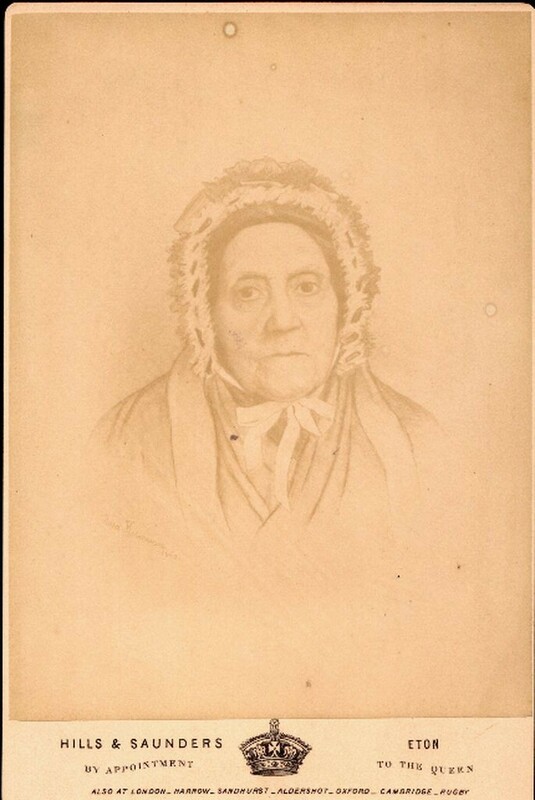 She was born 14th June 1790 in London, daughter of Henry John Gunning and Anne Steadman. 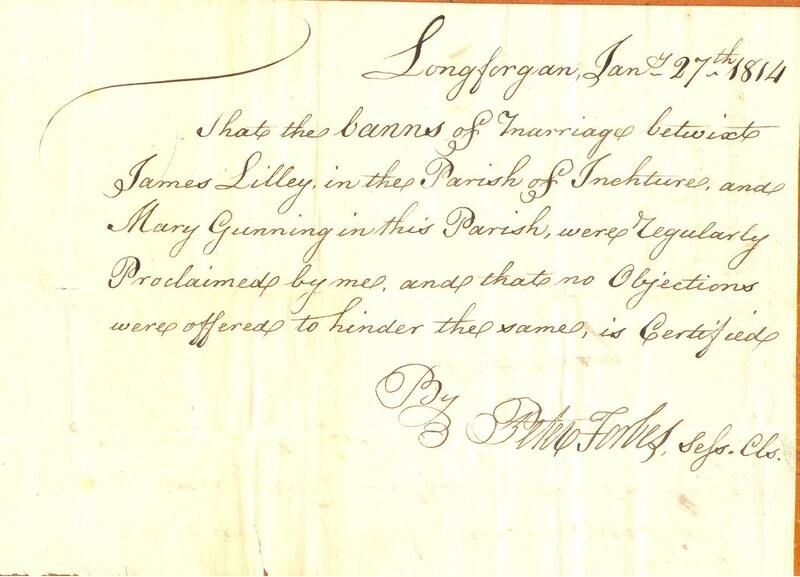 She was christenend at St Mary St Marylebone 10th September 1790. 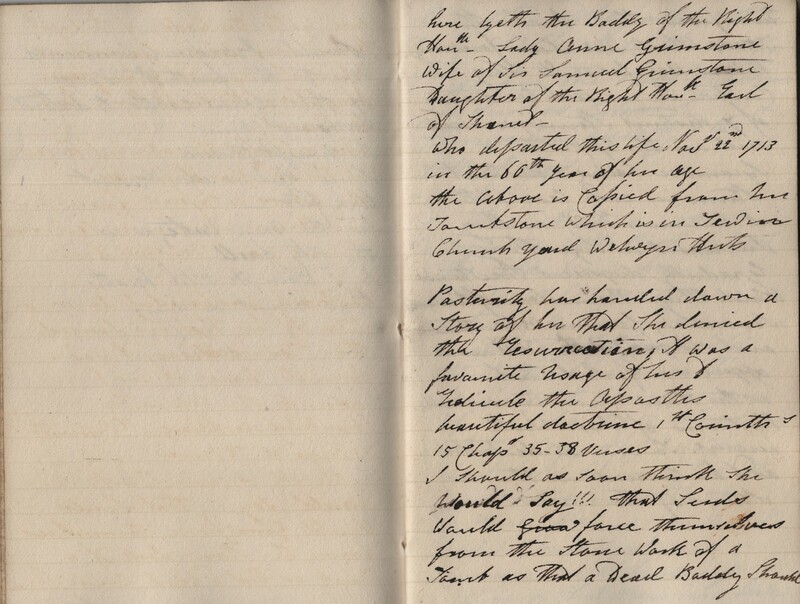 She decribed herself as a Londoner but in 1814 was living in at Longforgan, Scotland where she may have been working for the Paterson family at Huntly Castle. 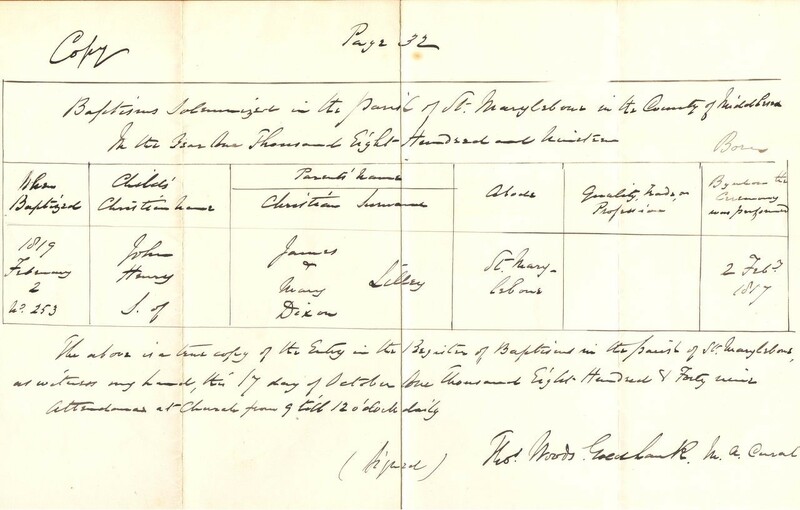 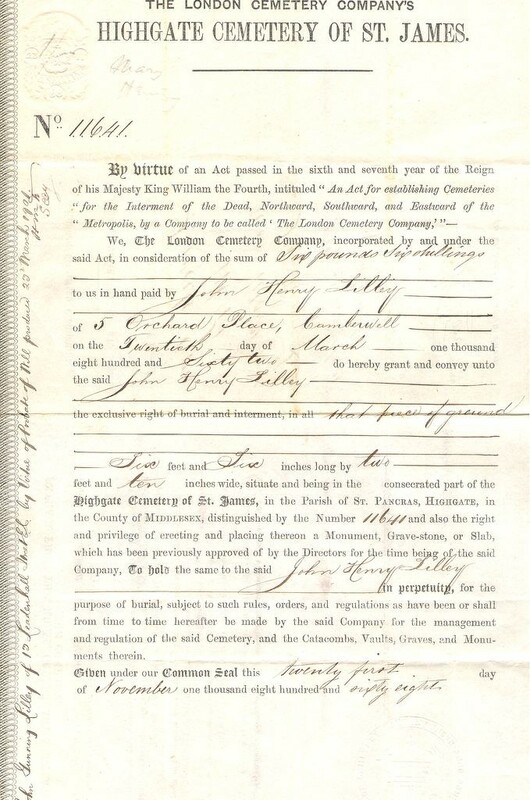 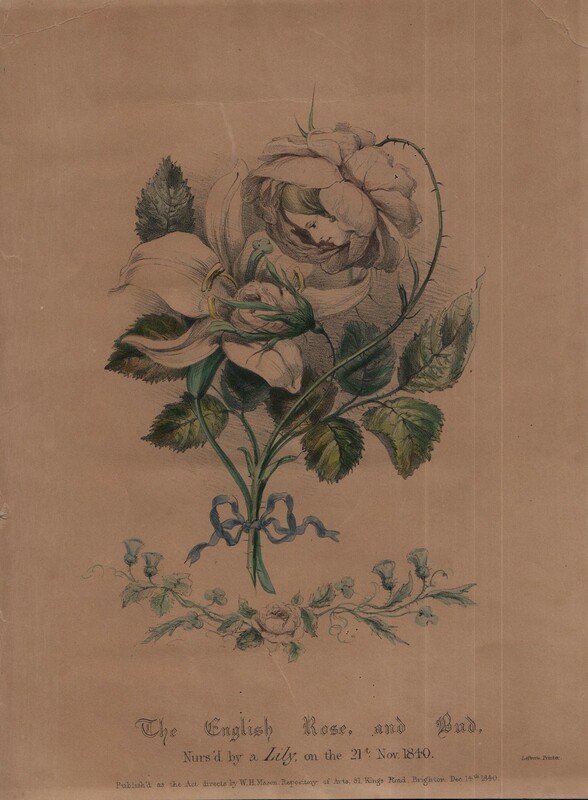 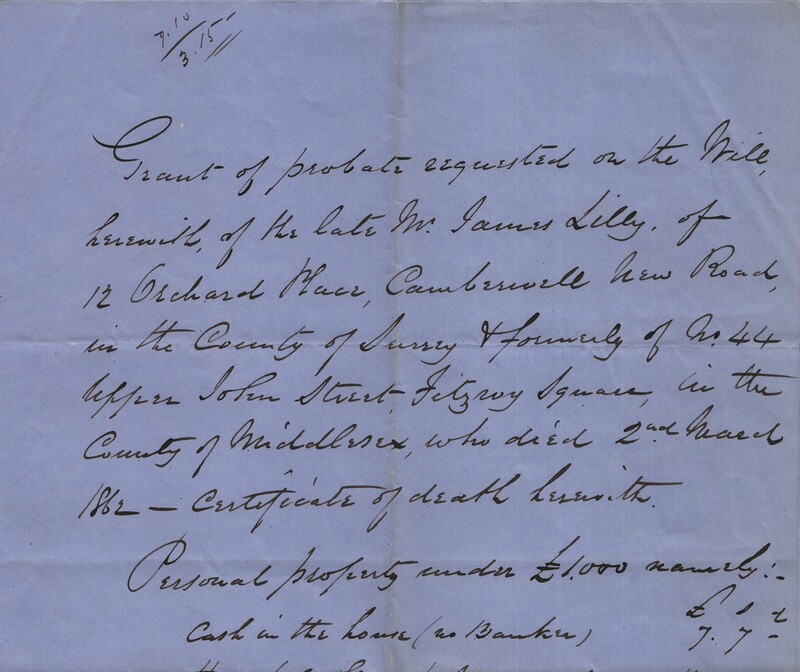 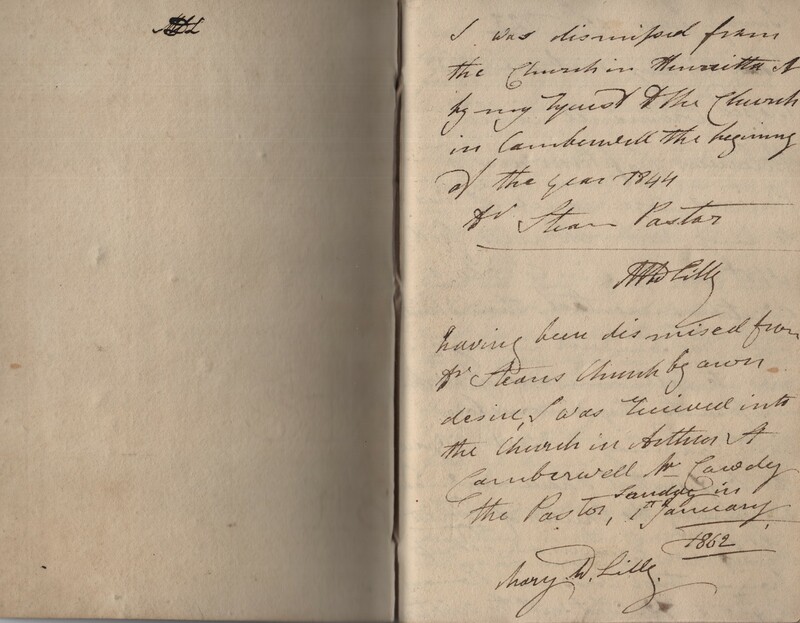 She married James Lilly, who was certainly in service, 31st Jan 1814 in the English Church of Dundee. 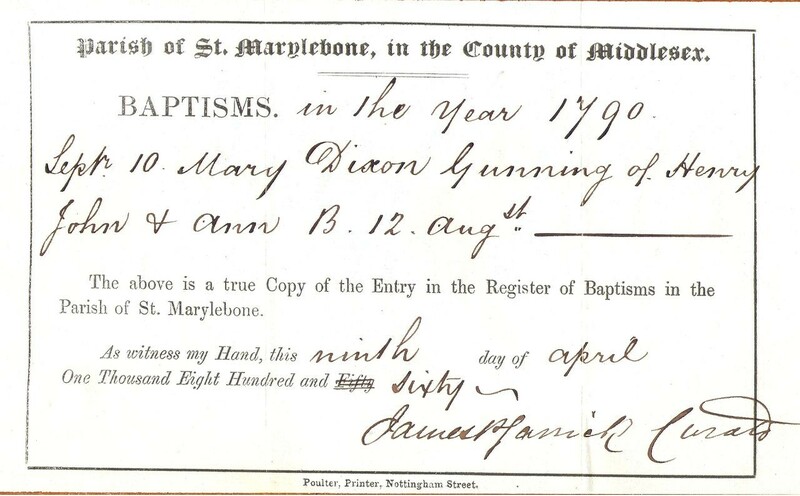 In 1823 she had a believer's baptism and at some stage entered into service with Queen Victoria. 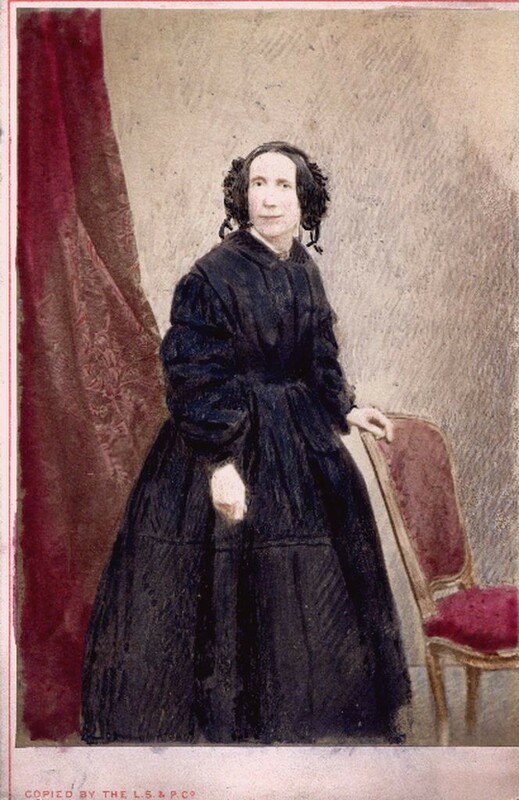 She was present at the birth of all of the Queen's children as the doctor's assistant and as monthly nurse at each birth until her services were no longer needed. 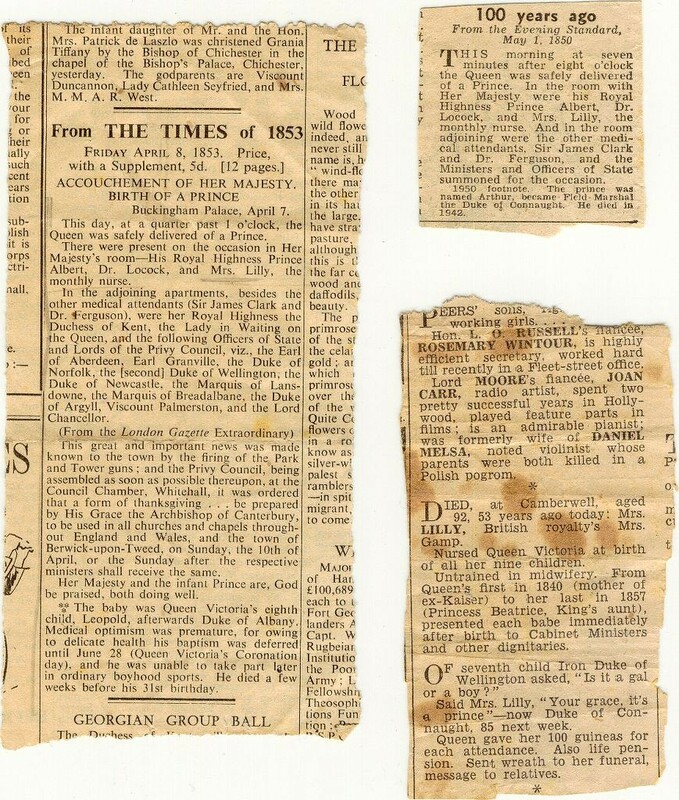 On retirement from royal service she was installed in a Grace and Favour home in Kensington Palace until she moved in with her son. 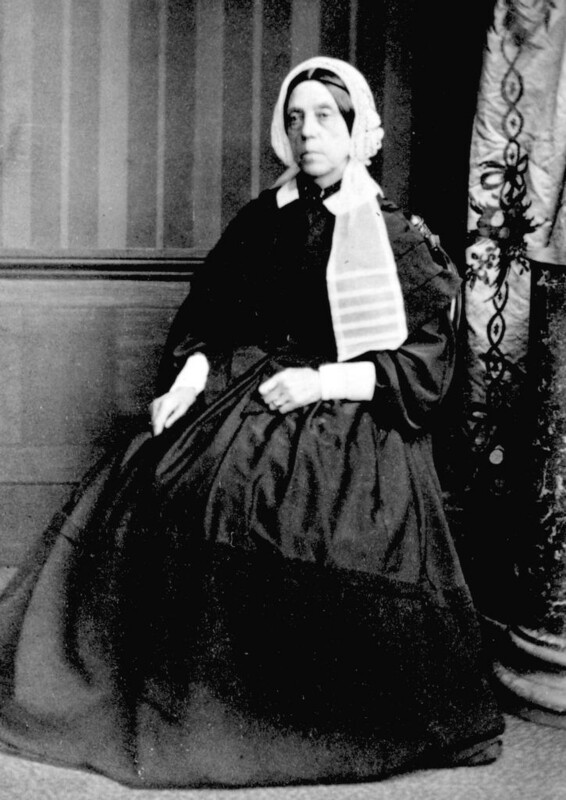 In 1871 she was living with her son and his family at Walton on the Hill, Lancashire. 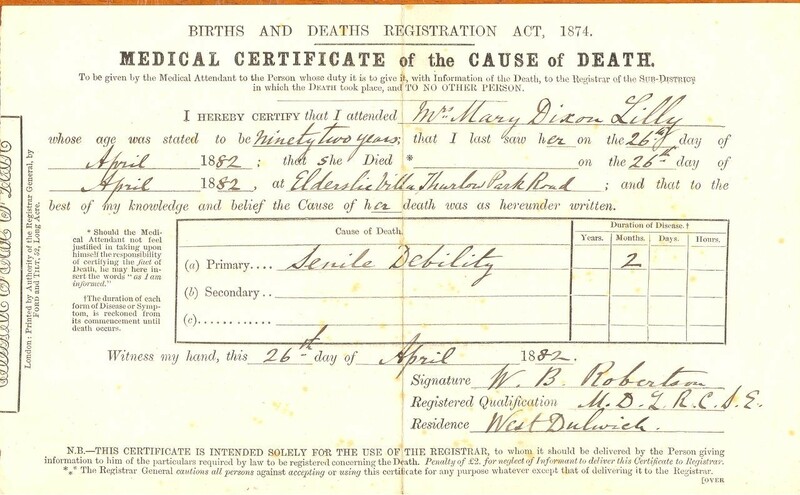 She died 26 April 1882 at her son's home, Elderslie Villa, Thurlow Park Road, London. 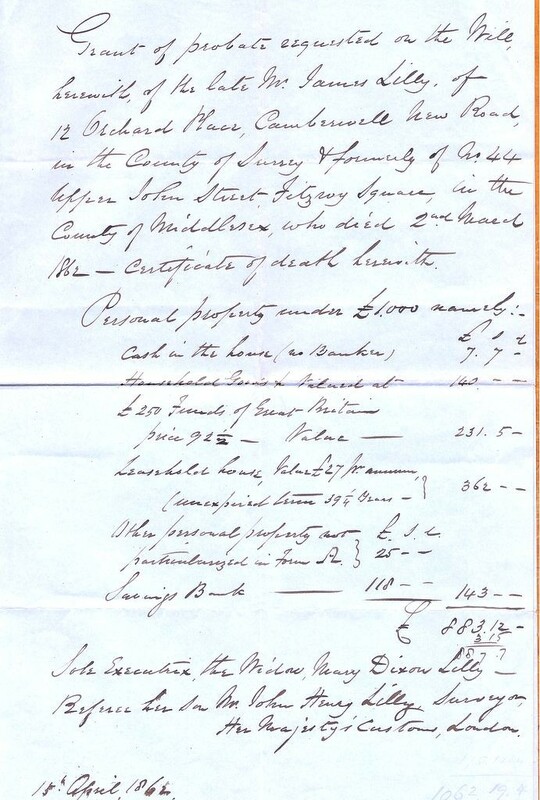 She left an estate of £1,290 16s. 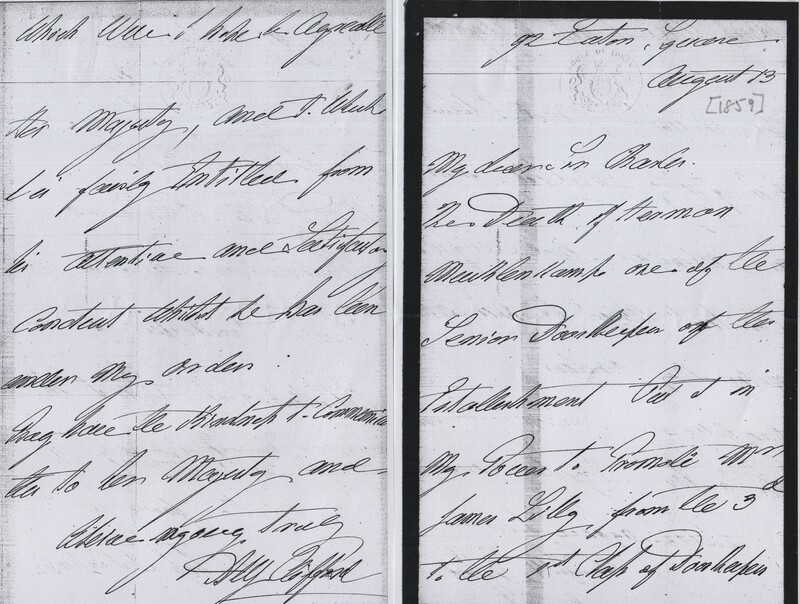 Extensive correspondence and documention has survived. 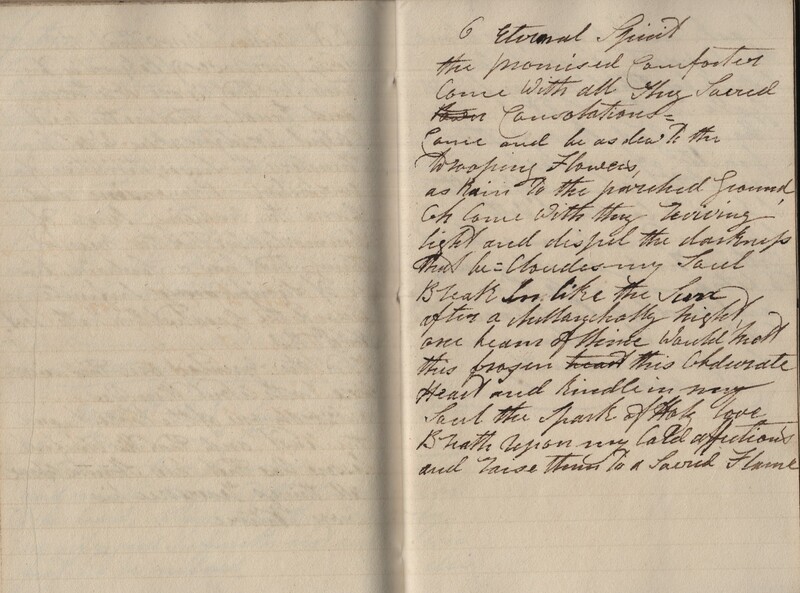 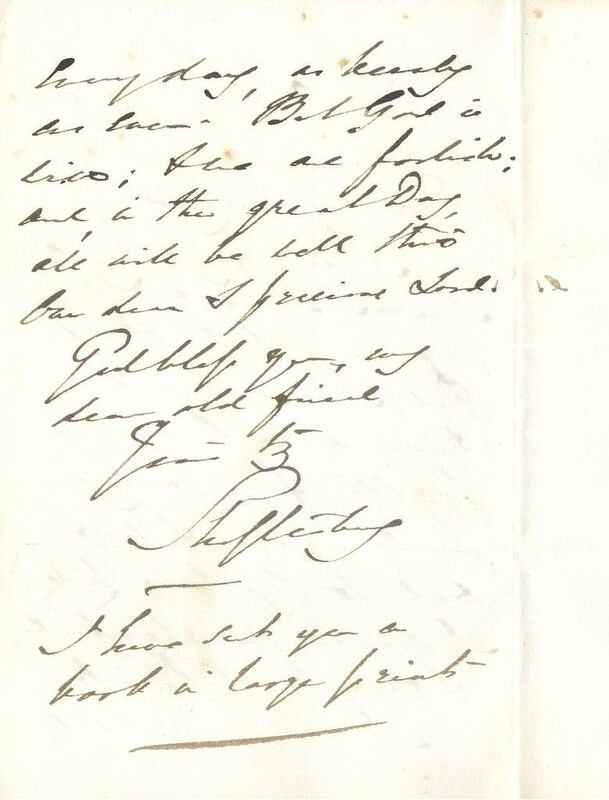 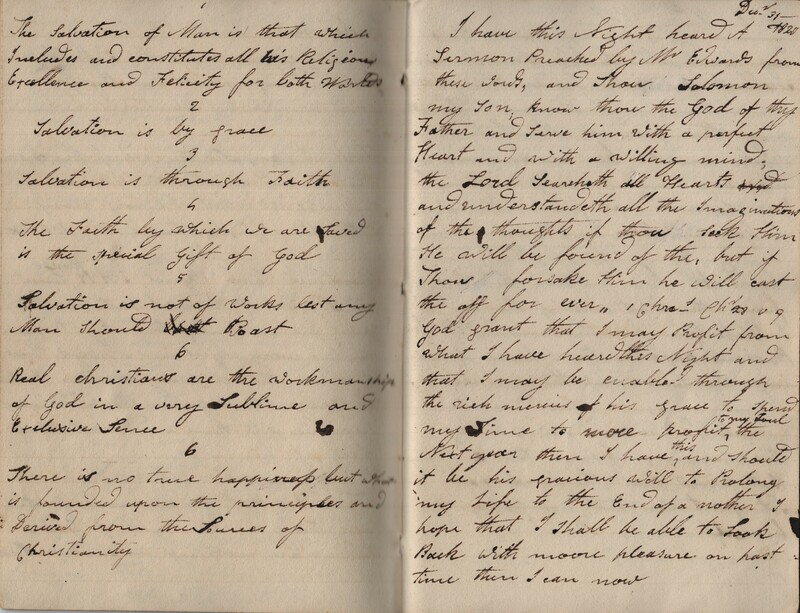 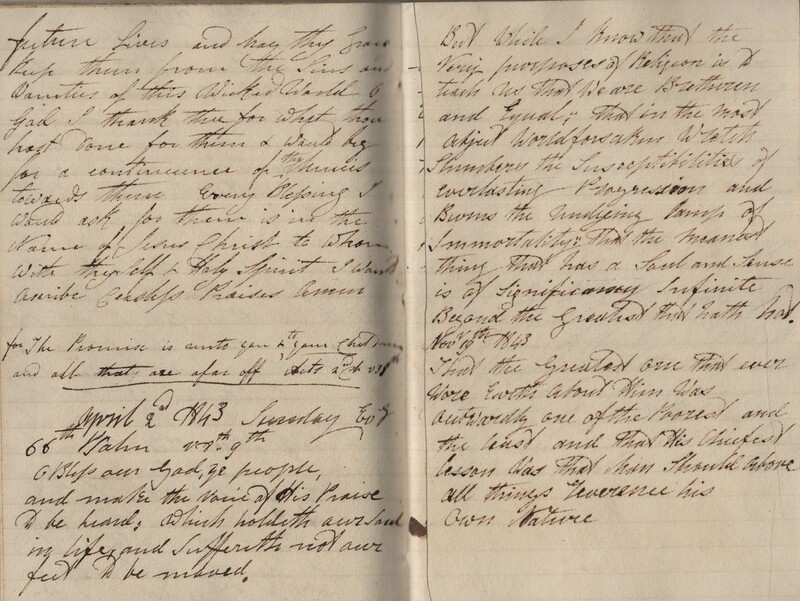 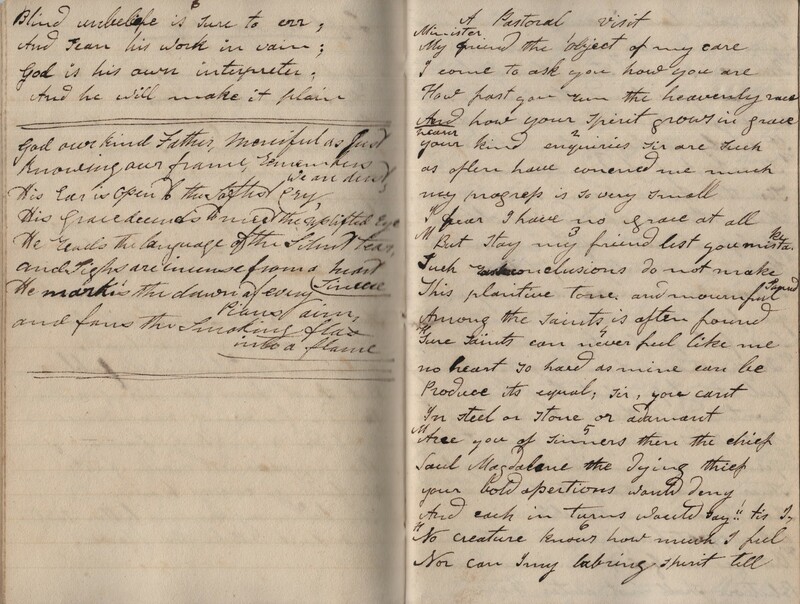 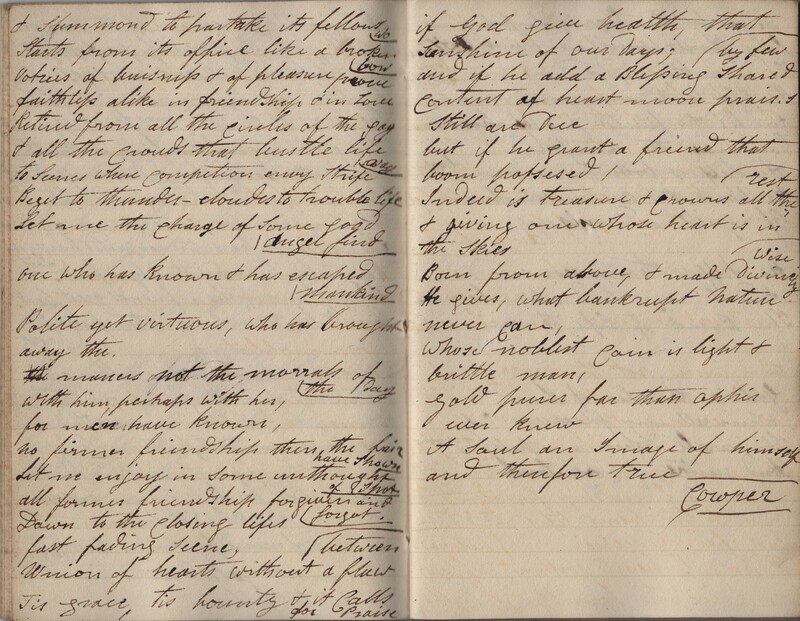 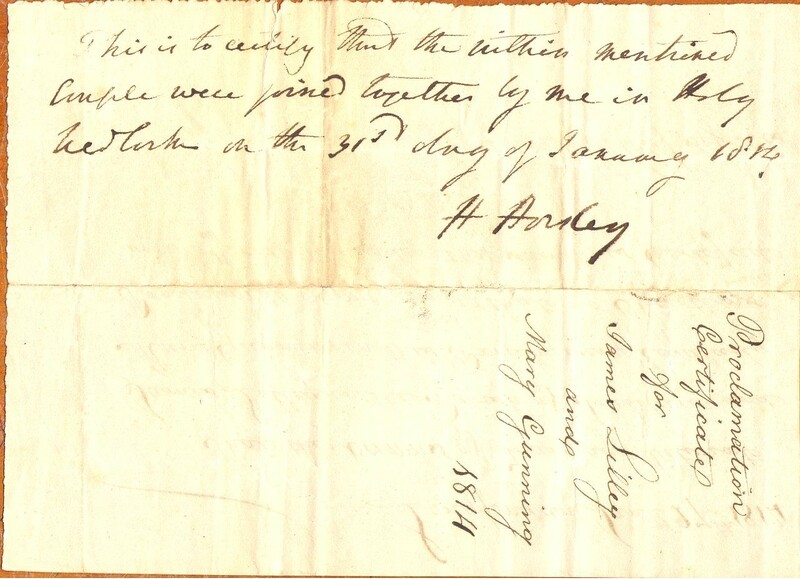 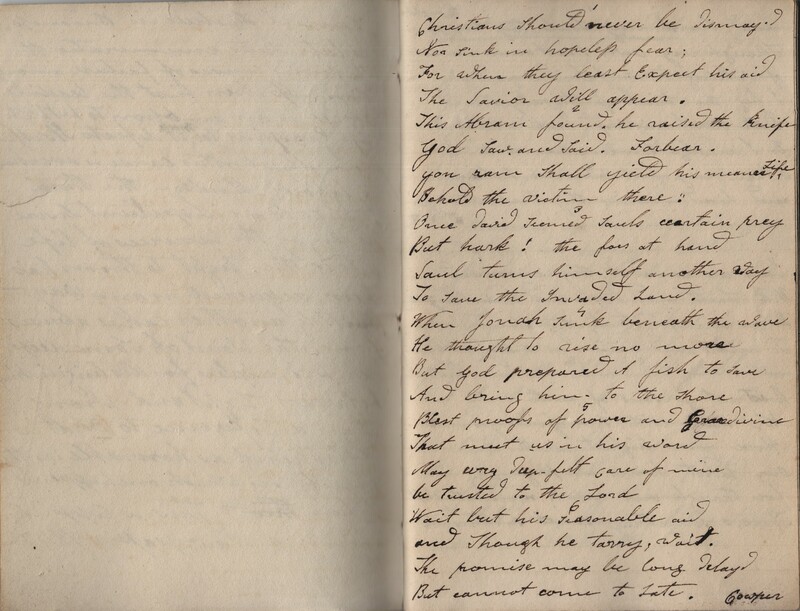 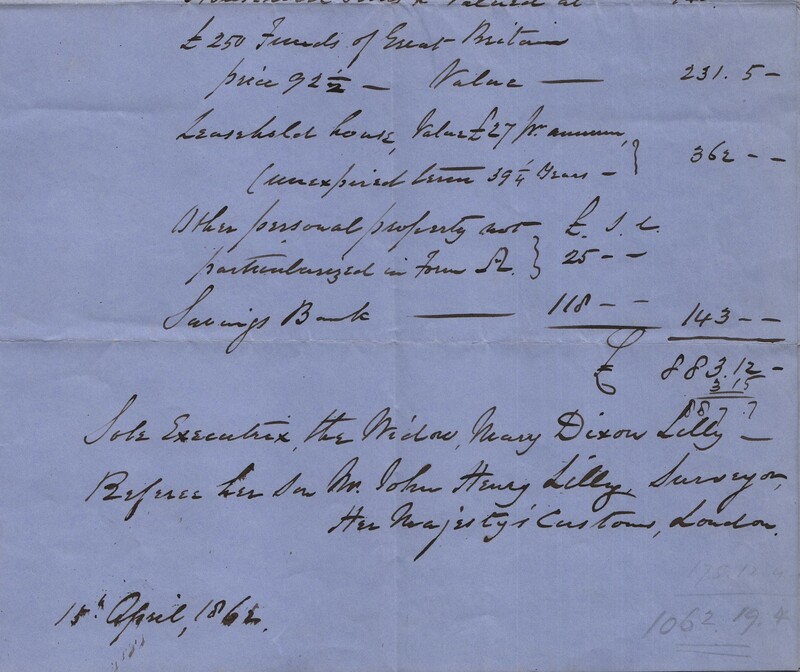 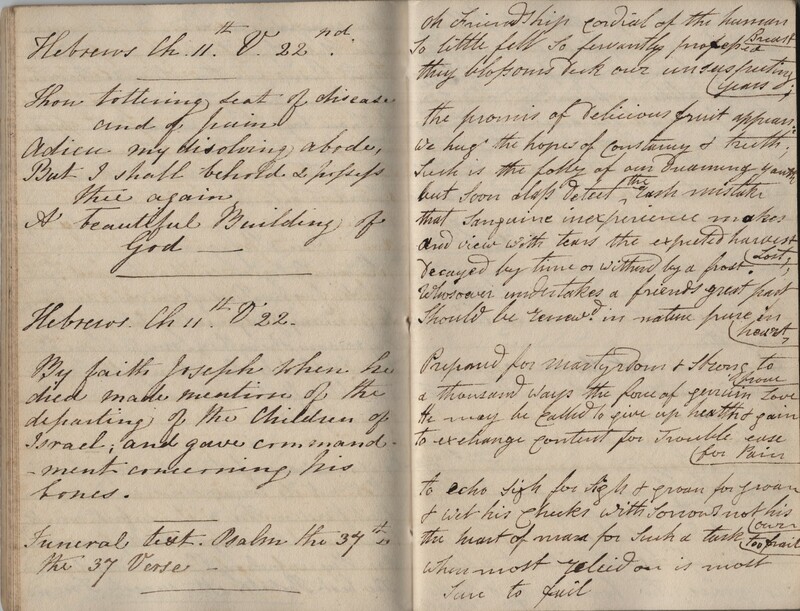 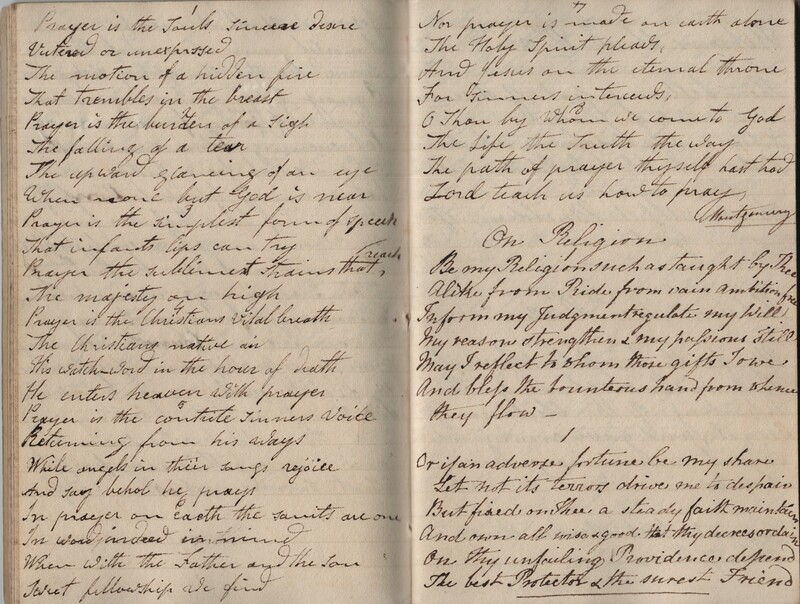 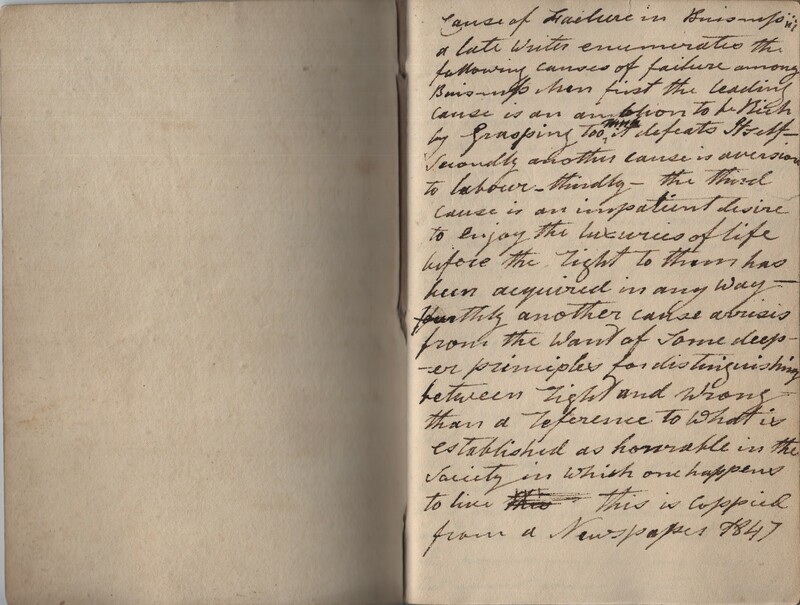 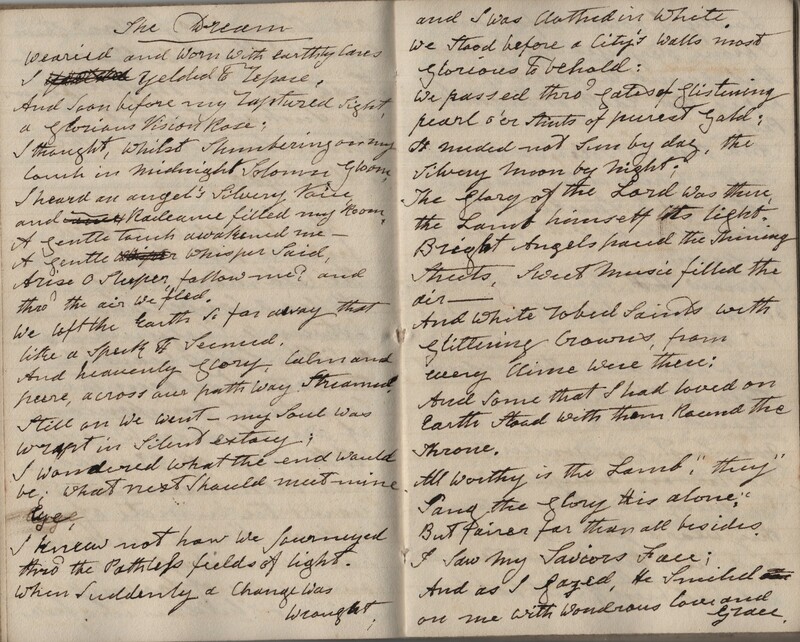 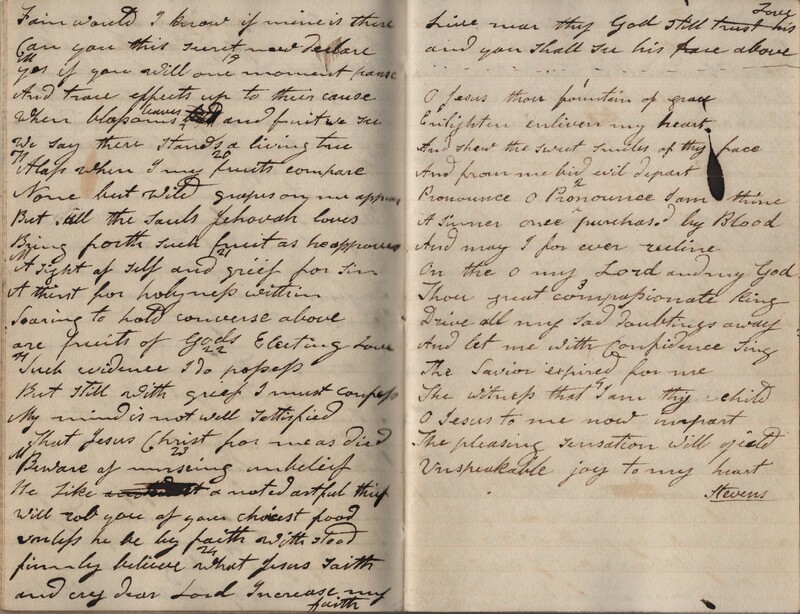 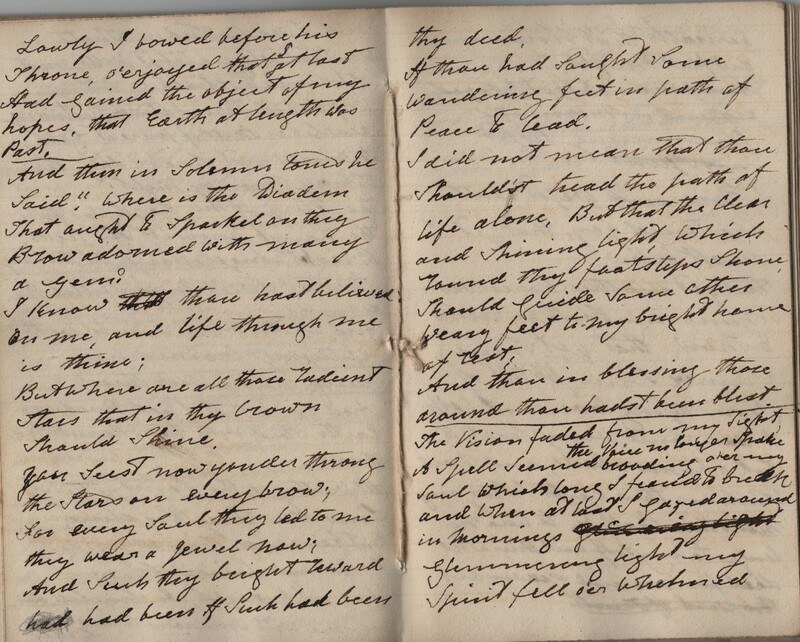 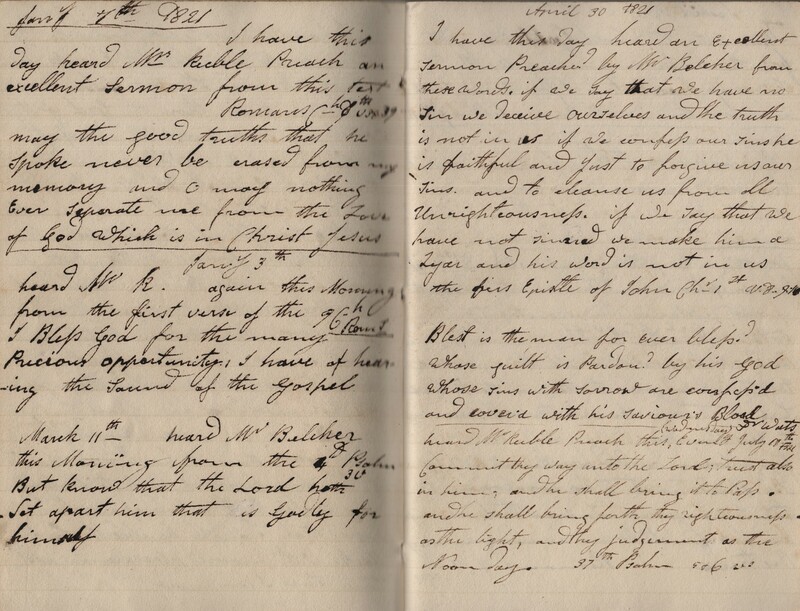 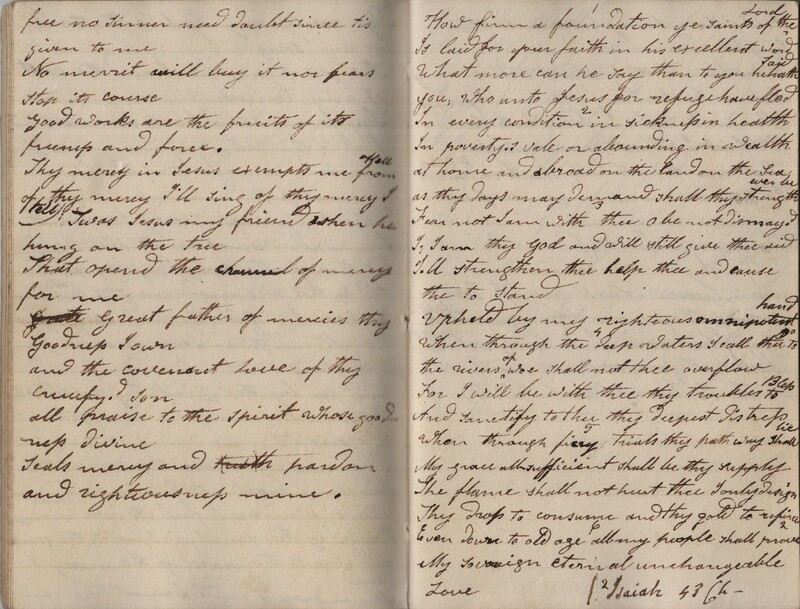 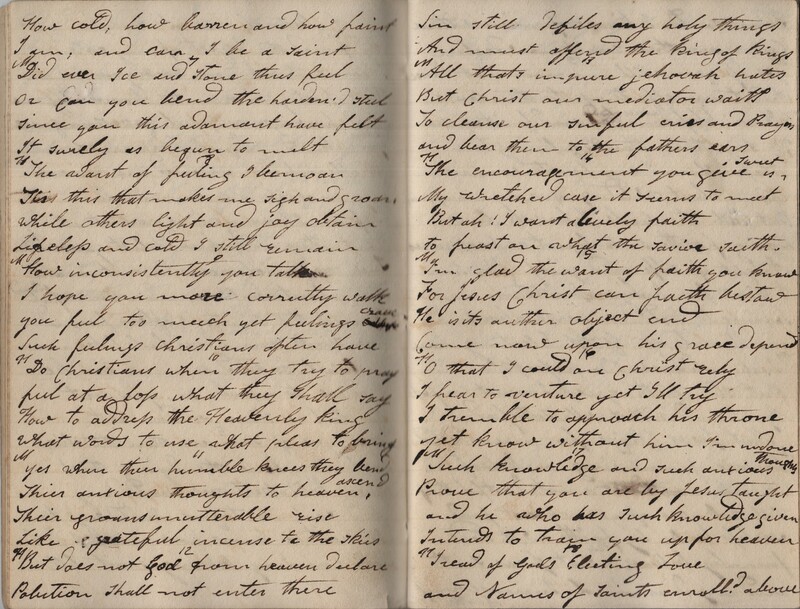 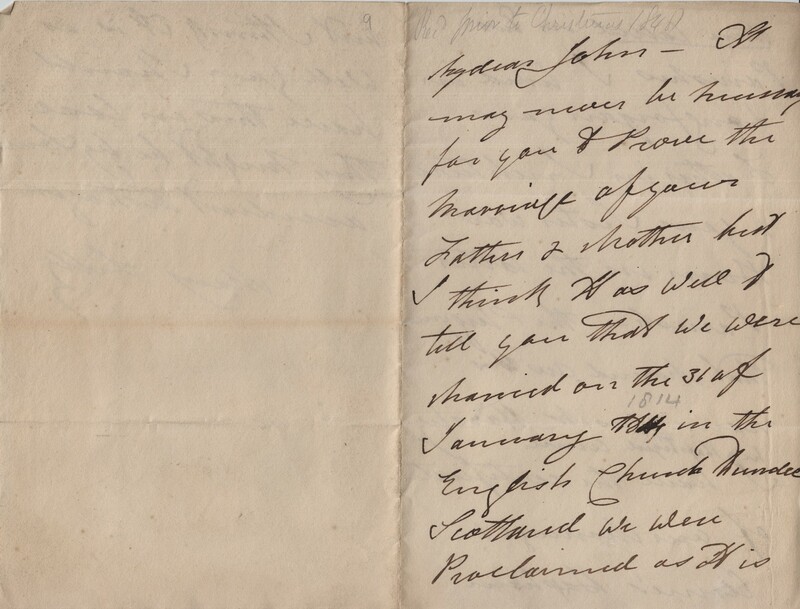 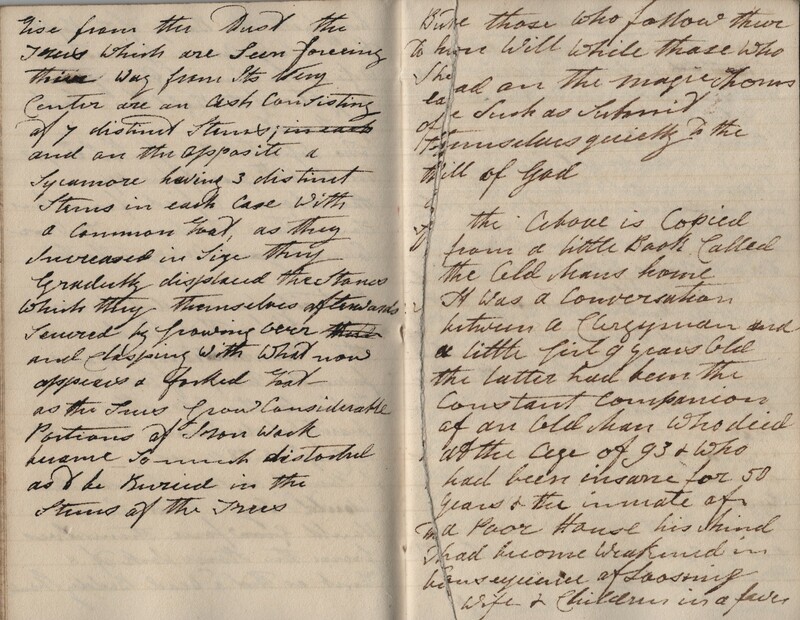 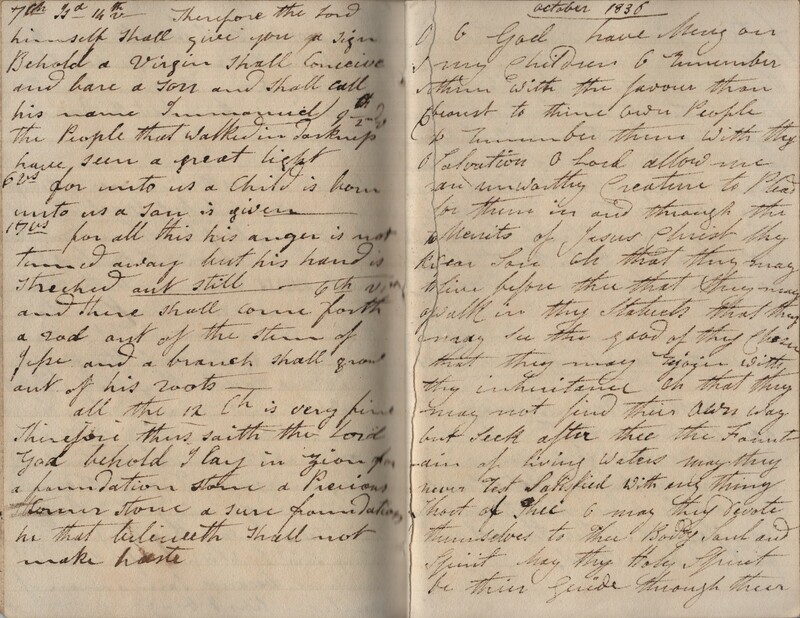 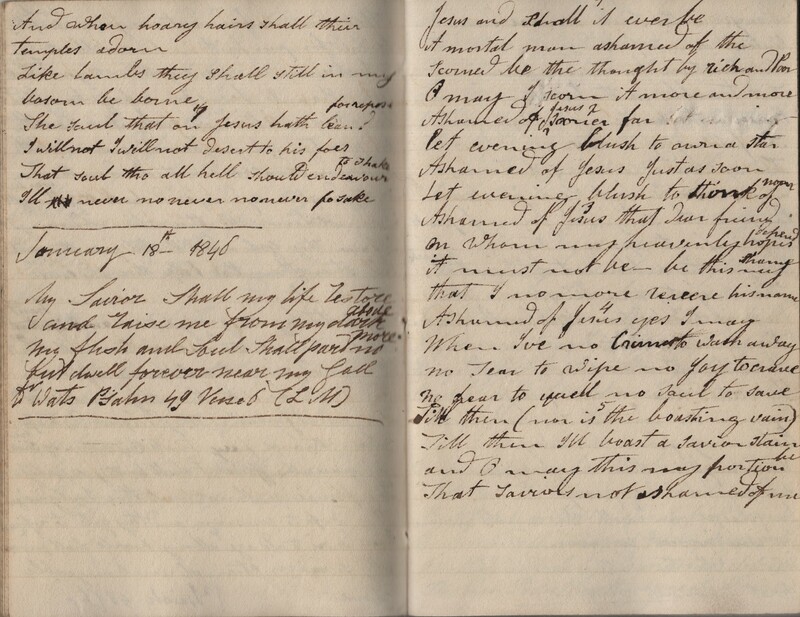 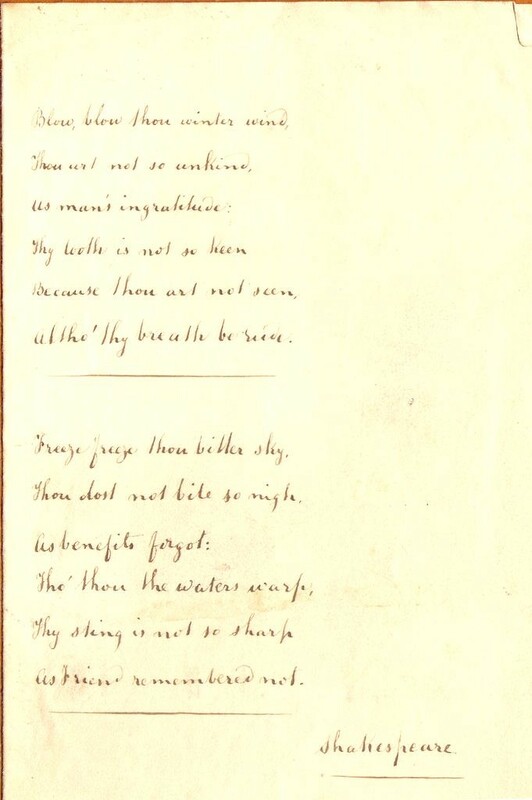 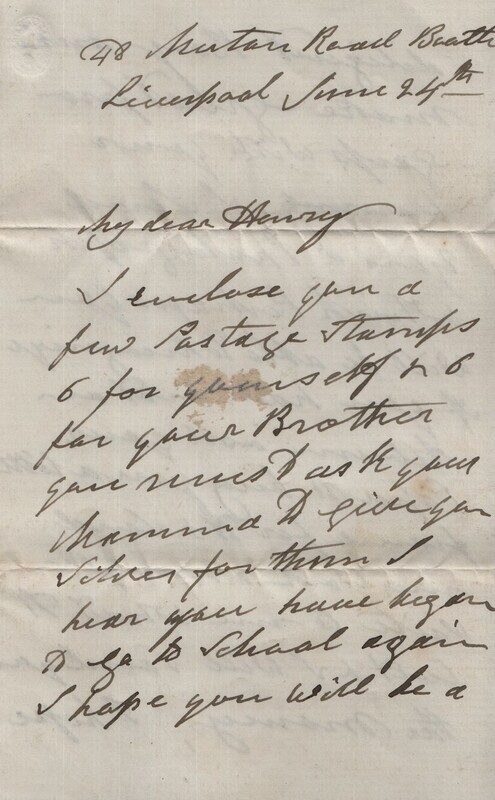 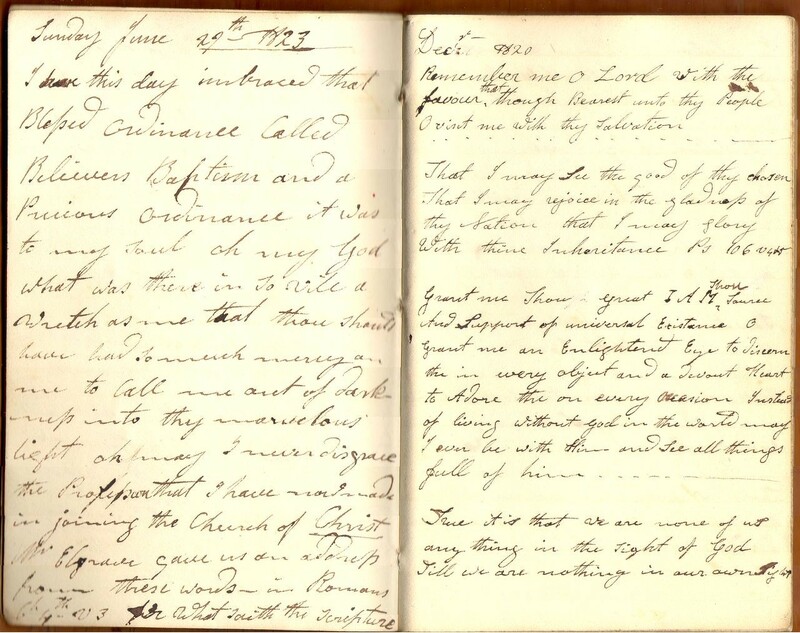 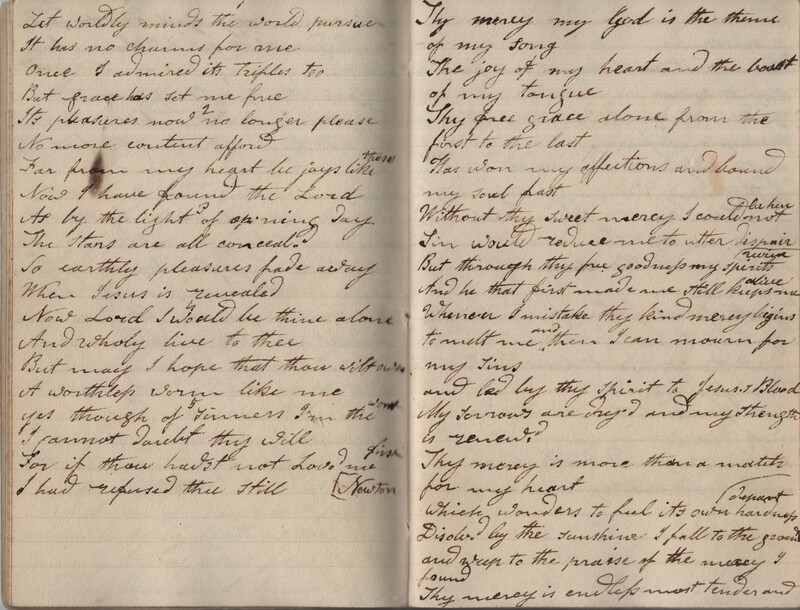 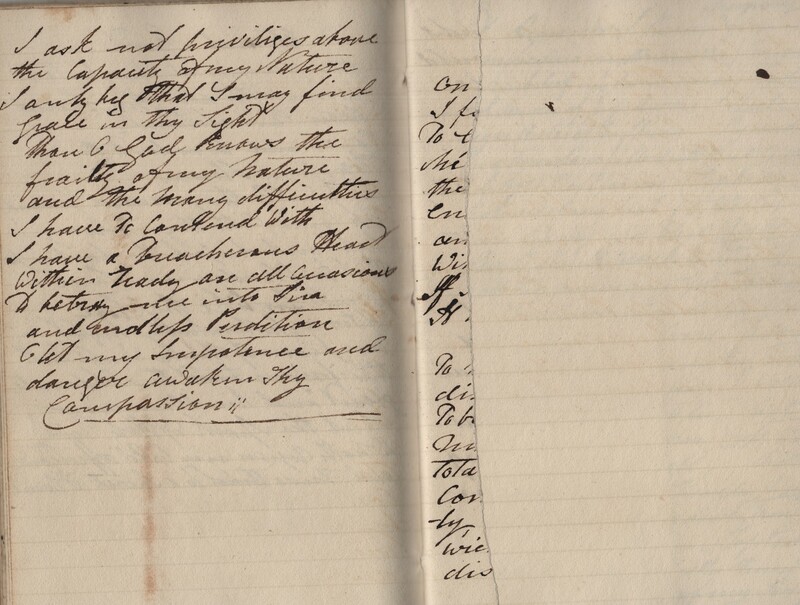 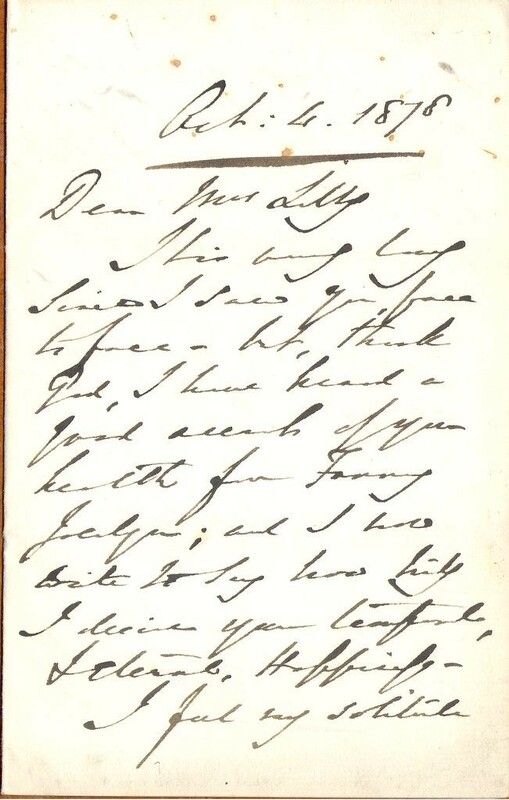 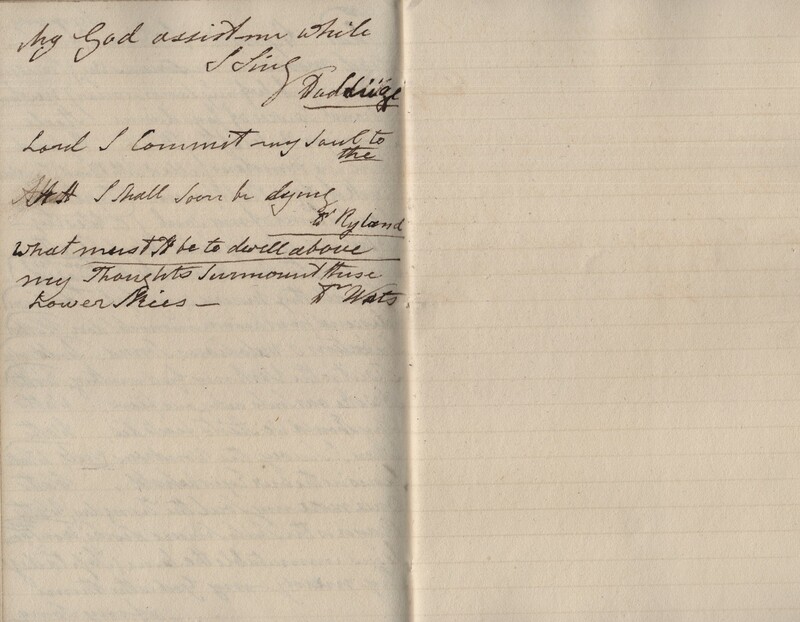 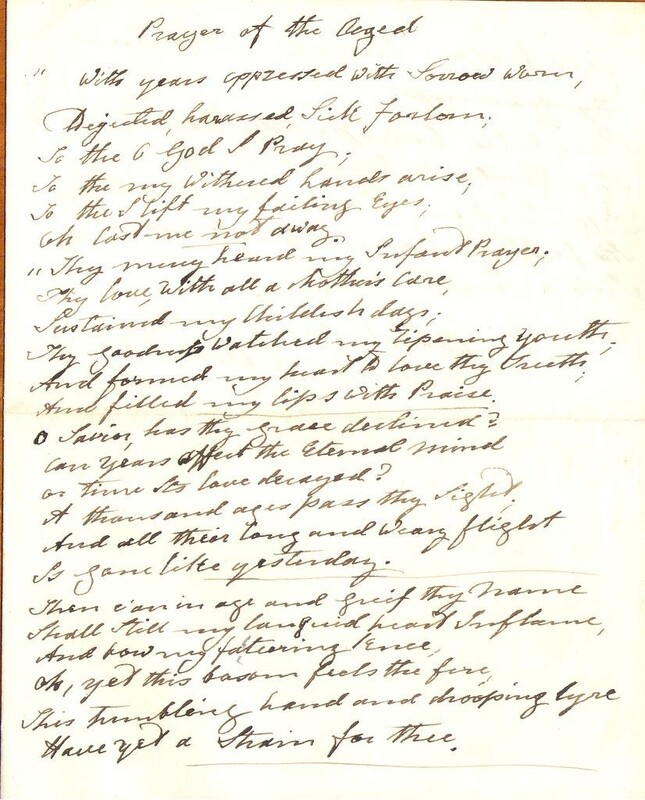 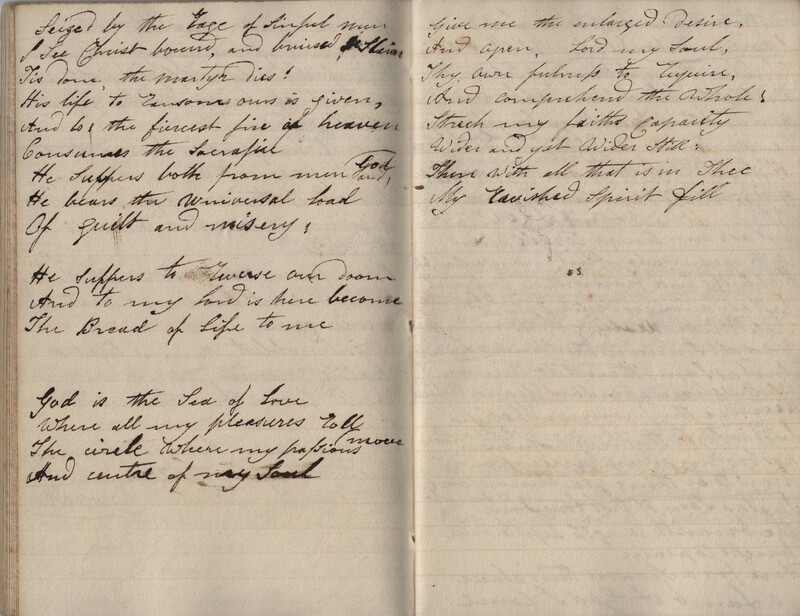 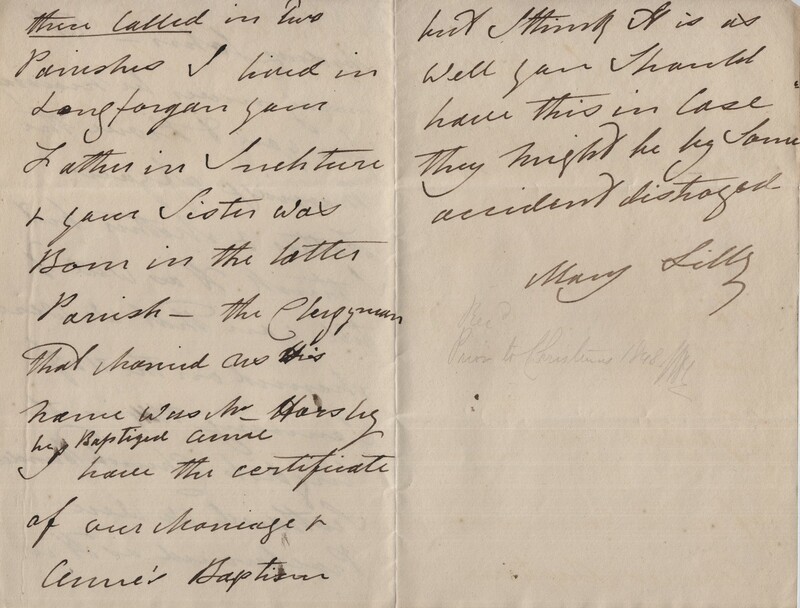 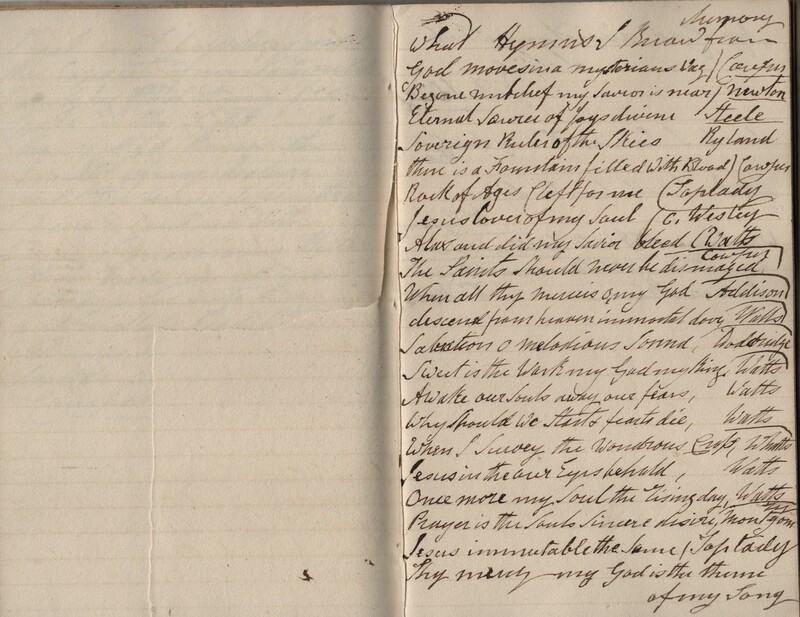 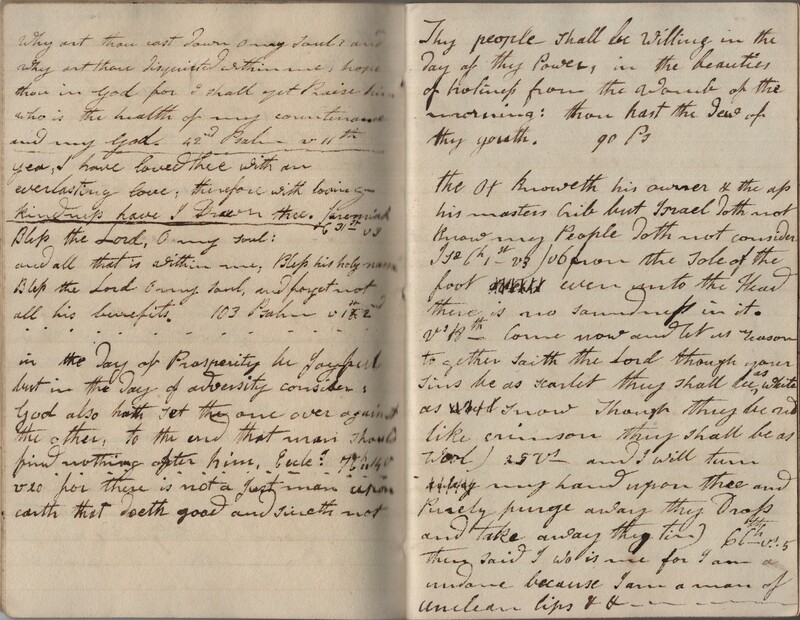 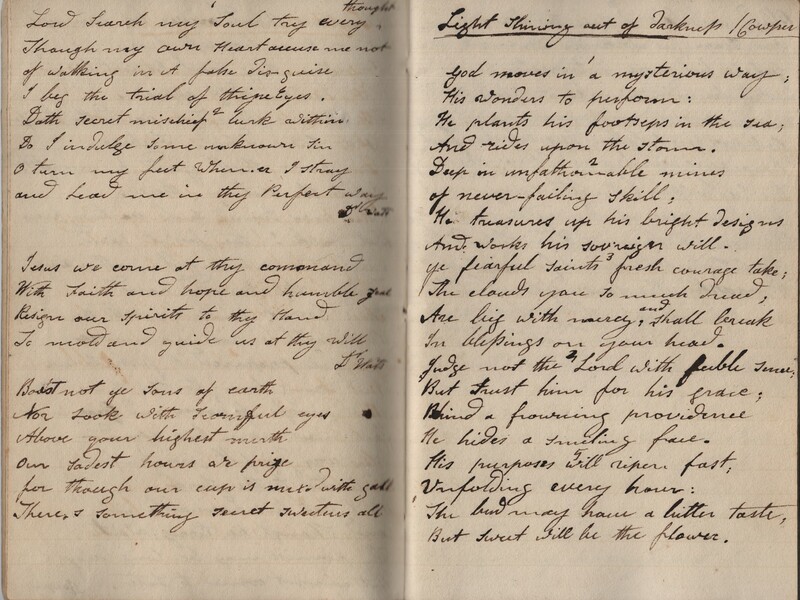 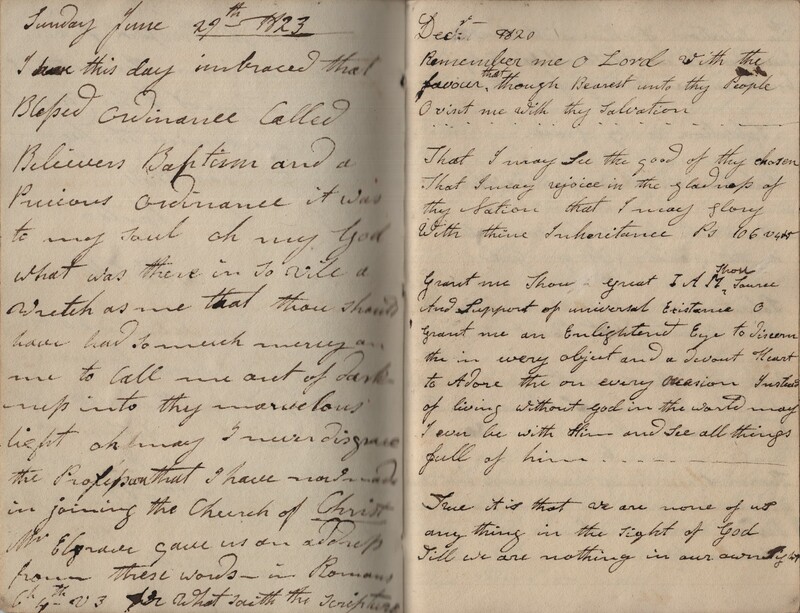 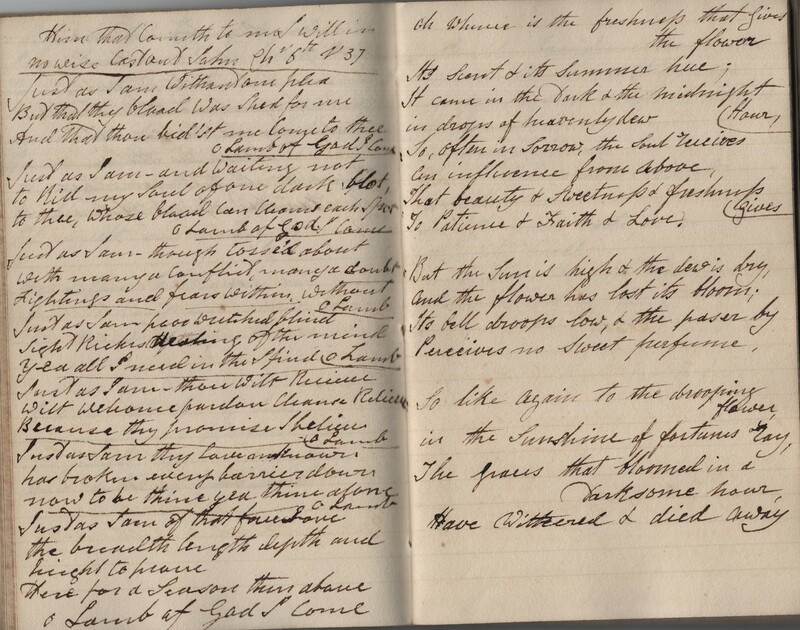 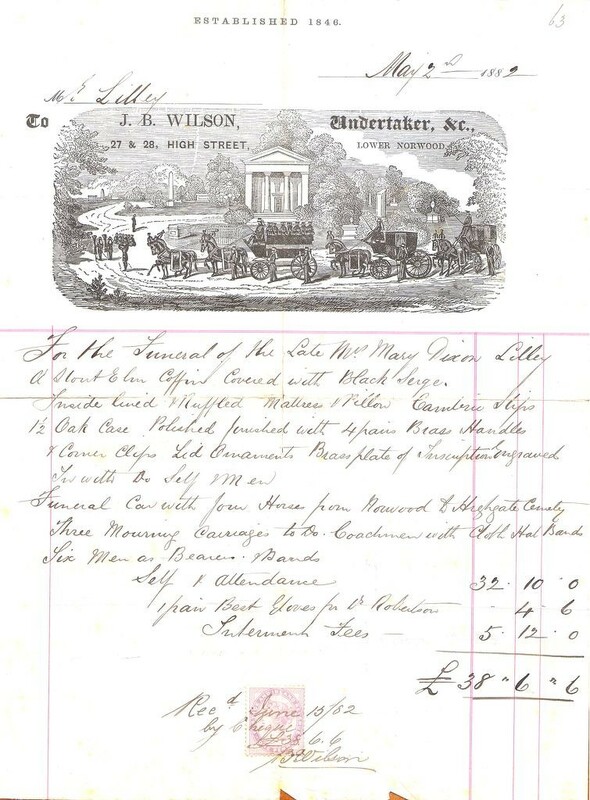 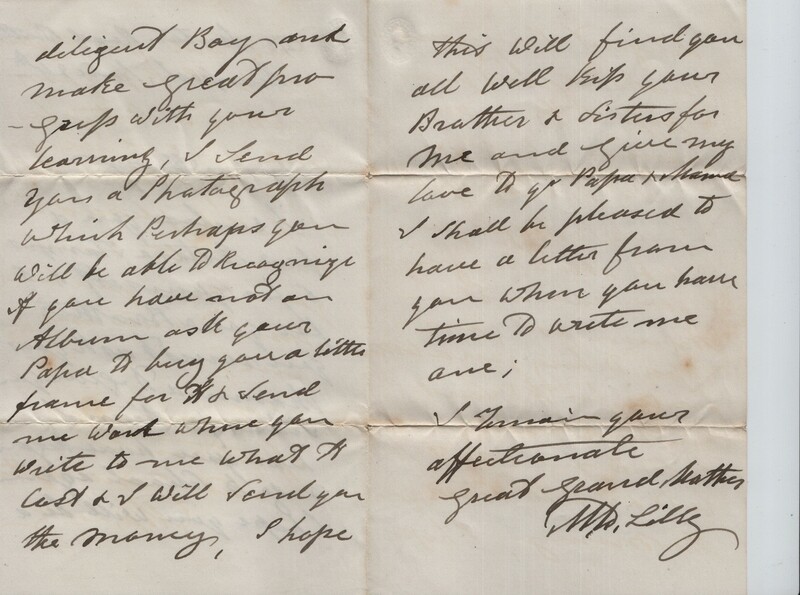 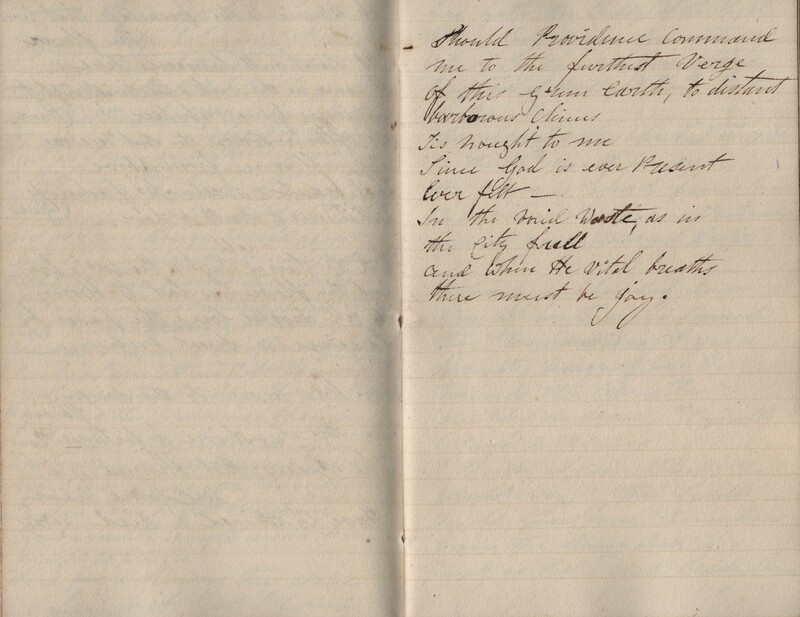 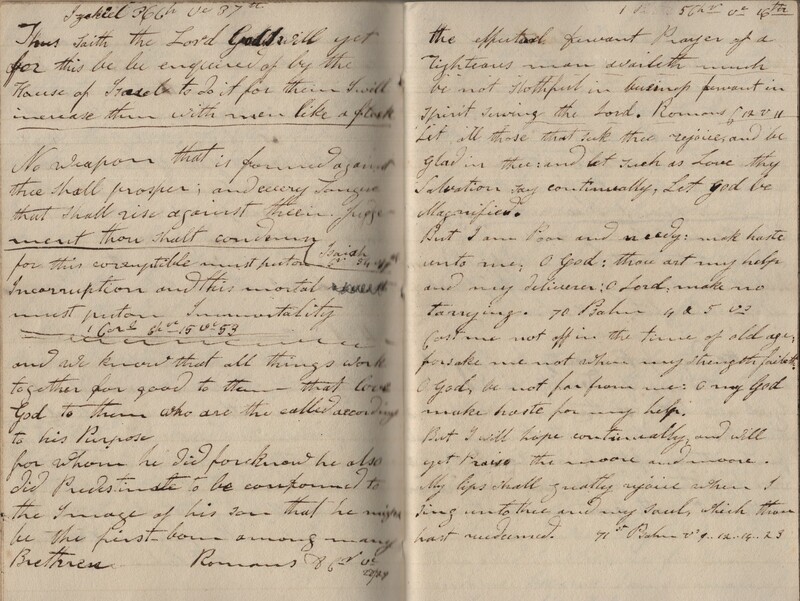 This commonplace book was started at both ends.The earliest entry is from December 1820, the most recent 1862. 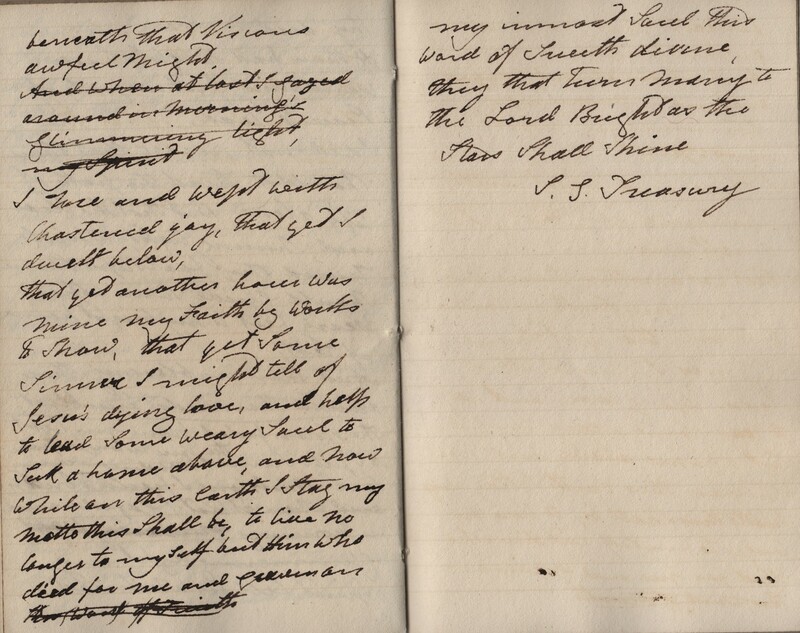 The slide shows below show the two ends of the book.